This is where solar powered outdoor lights shine. Light-emitting diodes (LEDs) create light without producing the waste heat of regular bulbs, are very bright, and yet require a minimal amount of electricity to function. The result is a reliable, long-lasting light source that will typically work for the life of the solar light product. Landscaping with solar lights is an easy way to upgrade your yard. 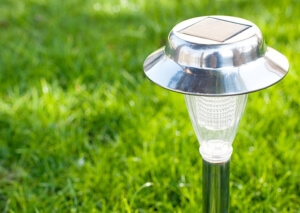 Solar landscape lighting has become an increasingly popular alternative to the conventional and costly electric lights that currently illuminate our homes and living spaces. Solar lights are less expensive, easy and safe to install yourself no digging ditches, laying the wire and attaching it to a junction box, and solar lights can be relocated easily, and above all else, you also save on electricity costs. What to consider when choosing solar lights for your exterior lighting needs for Landscaping in Frisco. Decide if you need decorative accent, path or task solar lights. Find out whether the battery needs full sunlight to charge. Some lights charge with partial sun and work great under trees or in areas with low sunlight. This type of solar light can also be charged on a cloudy day. Consider the operating time. Usually solar lights perform year round and even charge the battery to provide operation during long winter nights. Some solar lights shine for several days before needing to recharge. Check the type of light bulb the solar light uses. LED lights offer the brightest and most efficient light when it comes to efficiency, size, price and energy usage. Some accent solar lights use amber LED lights to create a softer glow. Compare features like timers or an on-off switch to the cost. Colored lenses change the look of the solar lights without compromising the brightness. Some solar lights mount to your house, hang from trees or can be mounted to your patio rail. These are some our favorite Landscape Lights from Amazon..